A treasure box with quality toys and customized activities for your child based upon their age and developmental stage for kids age newborn to six. While I have hinted a bit over the months about the need for more outreach on motor delays in the United States, I have a huge reason why I am so passionate. My oldest daughter (who was a preemie and in the NICU) was diagnosed with a motor delay in the middle of first grade. She was able to compensate her intelligence until motor skills at school became more advanced. While she is high on the spectrum, her cleverness masked her delay and she was quite aware she was starting to be different from the other kids in her class. They could easily go across the monkey bars and excel in gym and she felt – bad. While I started to notice the difference her teachers and doctor assured me she would grow into her body. That is, until it began to affect her self-worth and school avoidance. Long story short, she has been excelling with the help of Occupational Therapy and she’s my silly, happy child again. 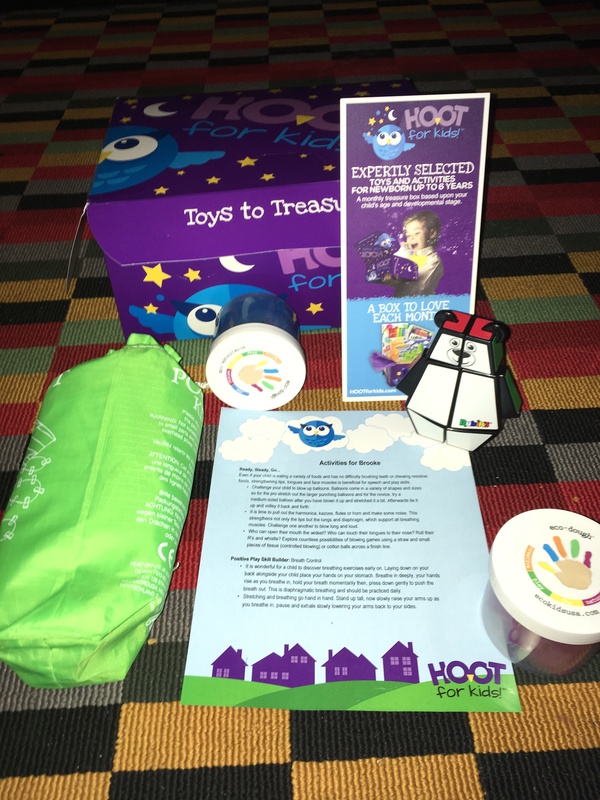 I have learned that TOYS (yes, TOYS) designed to help fine and gross motor skills that OT use are the best tools for us to use in our home to support her OT and I am VERY excited to tell you about the subscription box, HOOT for Kids, that does just that. 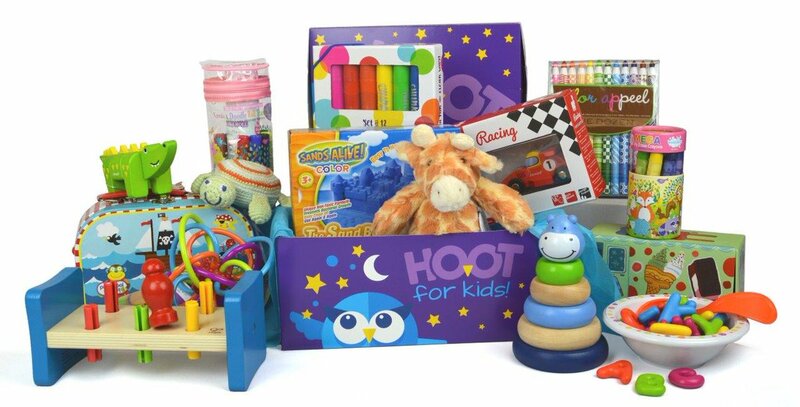 Choose from HOOT for Kids great selection of add-ons to include in your box shipment. Great for special occasions such as birthdays. Toys foster growth and can be used in many creative ways, including as a tool to enhance key developmental areas: fine motor, gross motor and sensory processing skills. In addition, the right toys and activities can also help parents be instrumental in facilitating developmental milestones. Toys can be utilized to address a child’s physical limitations, sensory integration issues, speech and language concerns and other developmental delays including Autism Spectrum Disorders (ASD). You pick the plan and HOOT for Kids will select quality toys that challenge and engage your child. 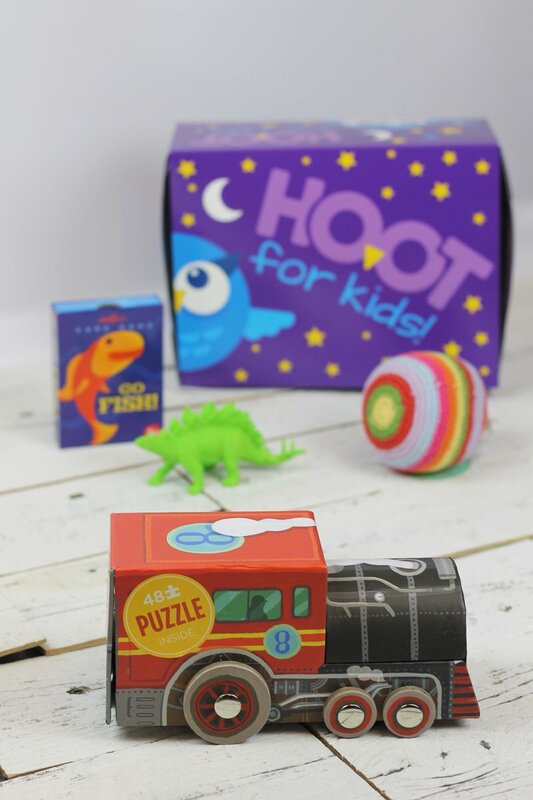 Tell HOOT for Kids about your child to help us personalize your box even more! Treasure Box will be customized based upon your child’s age and developmental stage. HOOT is Hands On Occupational Therapy that promotes purpose driven play with toys & activities to strengthen developmental skills & reach milestones. You may choose to receive any number of boxes and unless otherwise selected, their plans DO NOT automatically renew. How do I complete the questionnaire about my child? After your purchase you will be given the option of completing a questionnaire. The optional answers will help us select toys and activities based upon your child’s age and developmental stage. You may complete or update your questionnaire at any time by logging into your account, going to “Subscriptions”, and select the “Update Questionnaire” button. HOOT for Kids has suggested activities and tips for play by a developmental specialist will help your child maximize their potential. 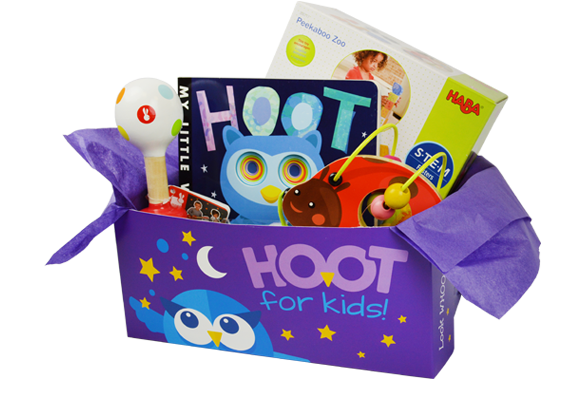 Our HOOT for Kids Box! Pocket Kite: Time to head outdoors and go fly a kite! Helps with gross motor, visual motor and sensory skills. Rubik Bear: This easy to grip bear is perfect for little hands to manipulate. This was Brooke’s favorite item! It encourages bilateral coordination and finger dexterity while having fun! Helps with fine motor, strength, and visual motor perception. 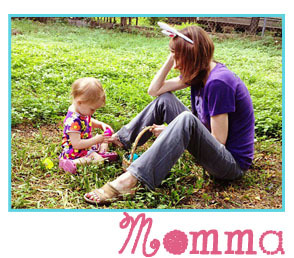 Eco-Dough 2 Pack: This environmentally friendly dough will strengthen your little one’s hands while they are having fun! Helps with fine motor, sensory and strength. This was a very thoughtfully planned box that included excellent activities for the items included. We enjoyed playing with every item and used the positive play skill builders and activity ideas that were included. If you are looking for a structured away to help your child develop much needed gross, visual, fine, and sensory skills, HOOT for Kids is a great asset for both play and therapy. About HOOT for Kids: HOOT for Kids was born out of the love and passion for children and is led by Lisa, a Pediatric Occupational Therapist. Lisa has dedicated over 25 years helping babies and school aged children alike to challenge themselves recognizing the beauty within each child and their individual differences that make every child unique. Through play, children can learn and grow in their excitement of the world around them. Read our entire story here!